Finally some pictures of the garden. A lot has happened in the past month. 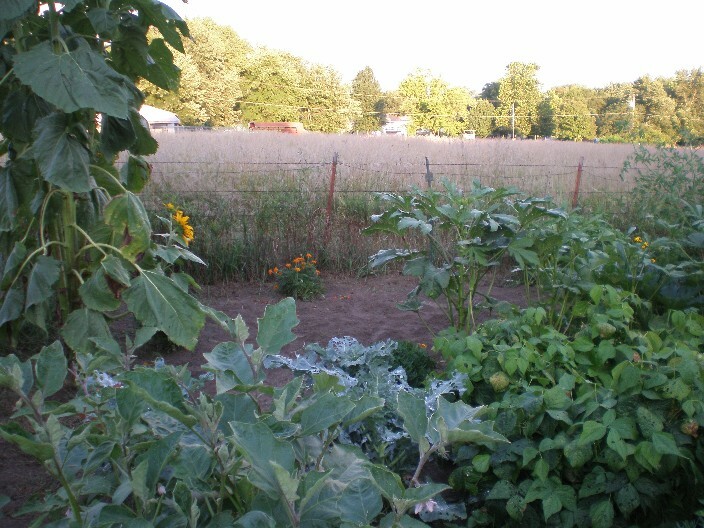 I’ve been picking TONS of vegetables – tomatoes, zucchini, beans, okra, watermelon, eggplant. 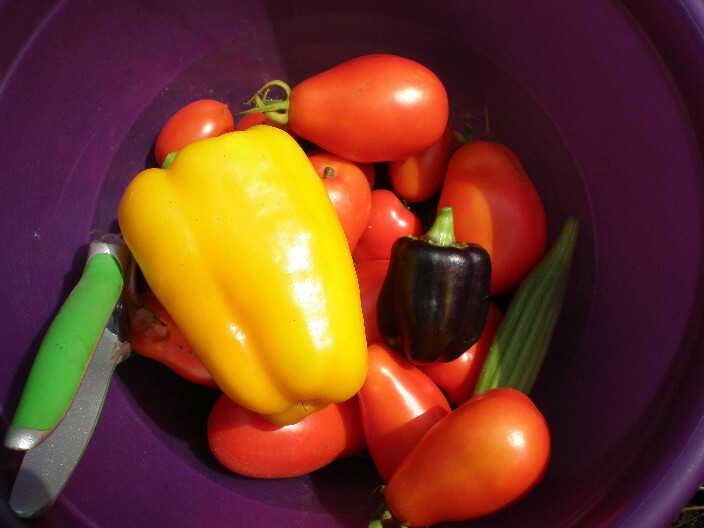 I have been writing down everything I’ve picked and I want to go through and add it all up to see just how much the garden has yielded so far. The pole beans have been removed from the garden. They grew too much and formed a big matted mess. Then they got so heavy they collapsed their support system and became a haven for pests. And I never really got any beans from them anyway! Hmpf. One hill of zucchini plants has completely died and been removed. 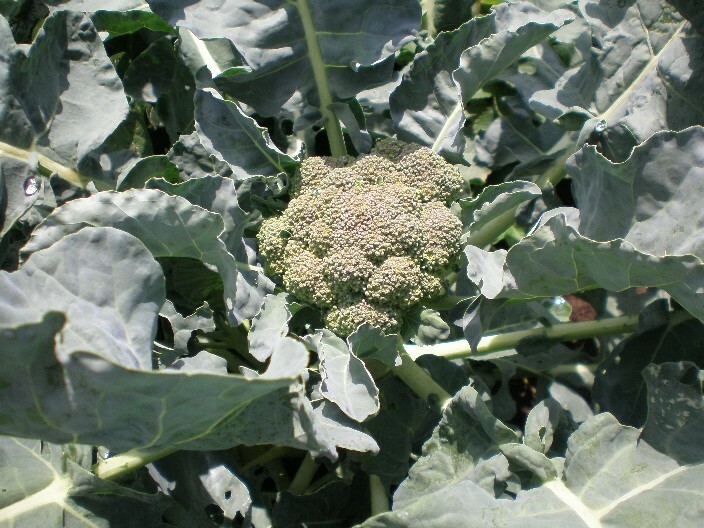 The other hill had one or two plants hanging on but they started to wilt this weekend so I’m guessing we will pull them out of the ground soon. The peppers are starting to ripen! Several of them have rotted or had rot spots on them but yesterday I picked the first one that did not have any bad spots. Then one of the pepper plants that I started from seed has started producing peppers. They are tiny purple peppers. I picked one yesterday and I can’t wait to try it. The eggplant has been going crazy. The plants have tons of fruit on them. I’ve picked at least one eggplant the past three days and now have four of them in the refrigerator. 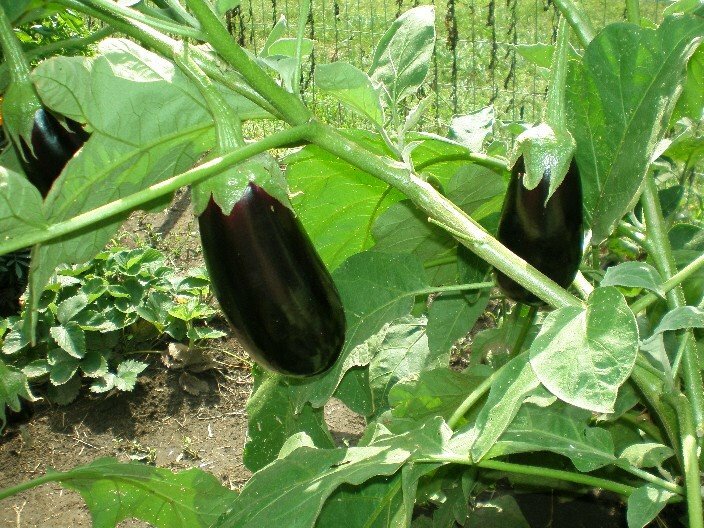 I’m going to be researching eggplant recipes this week. 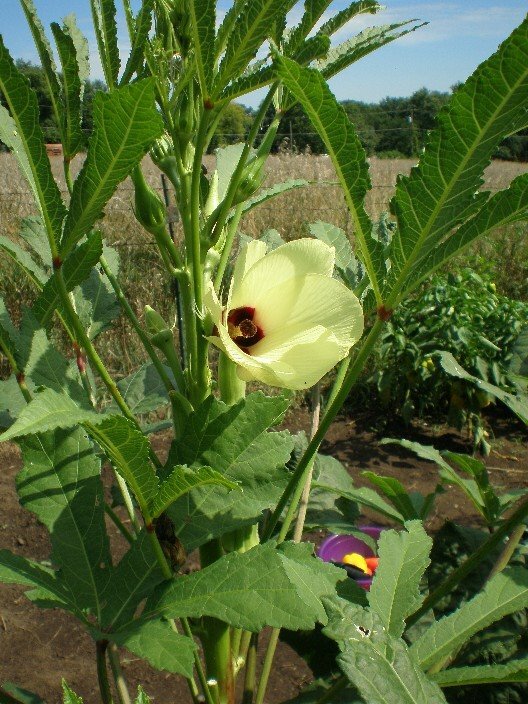 The okra plants are getting really big and yesterday one had a full open bloom that was really pretty. Yipee! I can’t wait to pick it. 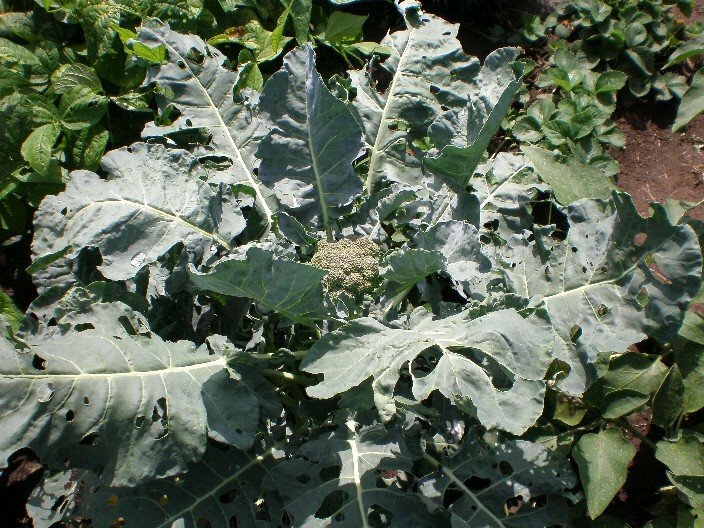 There are four broccoli plants total and they all have a small broccoli head growing in the middle. Here’s the plant from farther away. All in all I’d say the garden has been a big success this year. Even if everything died right now and I didn’t harvest one more thing, we’ve still gotten enough out of it to make it worth all the work. I’m already excited about planting new things next year. i love reading all about your gardening adventures and i am jealous b/c i wish i had a backyard to try some things out! i was just going to mention that suzanne made eggplant lasagna once and it was REALLY good, so maybe she has some suggestions for you. plus, since she has been a vegetarian for quite some time now, she may have some other creative recipes!